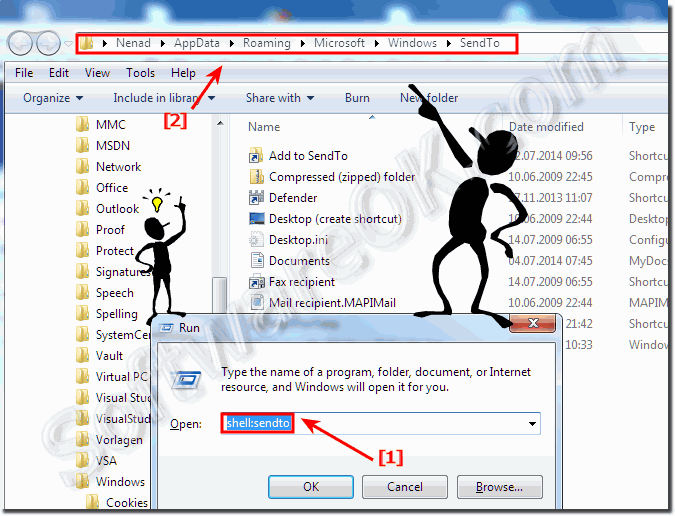 (Image-1) Use Send-To feature to run Programs from Send-To in Windows 7 and 8.1! And now, you can add Program-Shortcuts via drag&drop or via right click context menu "New" > "Shortcut"
... Windows 7 calculator desktop shortcut! ... create desktop program shortcuts in Windows 8 and Win 8.1! ... Desktop shortcut for windows fax and scan or pin to start or task-bar! 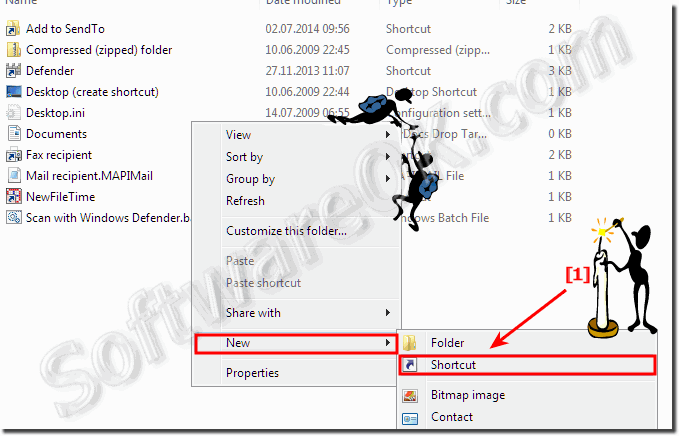 (Image-2) Program ShortCut in Send-To menu Windows 7-8.1! Windows-7 - FAQ-108: How to use Send-To feature to run Programs from Send-To in Windows 7/8.1?